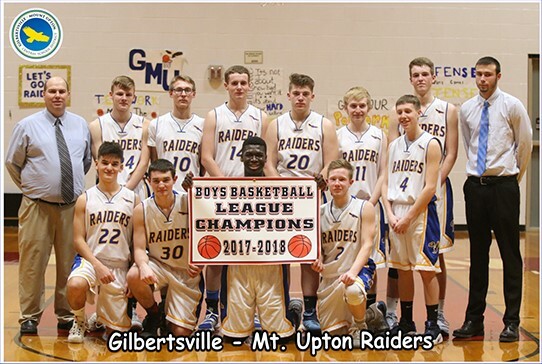 ScheduleGalaxy is now the provider for the Gilbertsville-Mount Upton Central School District for their athletics program web-based scheduling system. ScheduleGalaxy enhances both the scheduling process and public access to contest information. To access a team schedule, go to the Gilbertsville-Mount Upton CSD webpage and click on the Athletics tab, then click on the "Schedules for All Sports" link on the right side of the page. Create an account by Clicking on “Register” on the upper right hand corner of the page and follow registration instructions. You will be immediately directed to the homepage, which has a calendar of all athletic contests. You can also choose the sport and team you’re looking for from the Quick Toggle menu at the top left of the homepage. Click on the sport and then click on the team to view their schedule. There, you will be able to subscribe to email alerts or push notifications from our App for any schedule changes for that specific team. Click on a specific contest on either the schedule list or the calendar and both Google map location and driving directions from your current location are readily available. We are thrilled for our athletics program and community to have the opportunity to join ScheduleGalaxy in providing this enhanced sports scheduling and public information system! You can view and download schedules for any team, and receive email alerts for schedule changes, here.